A white blazer can be worn some many different ways with different looks that you would have no problems putting an outfit together that fits your personal style. I decided to go with a neutral camisole underneath my blazer that has some details on it but not to busy. 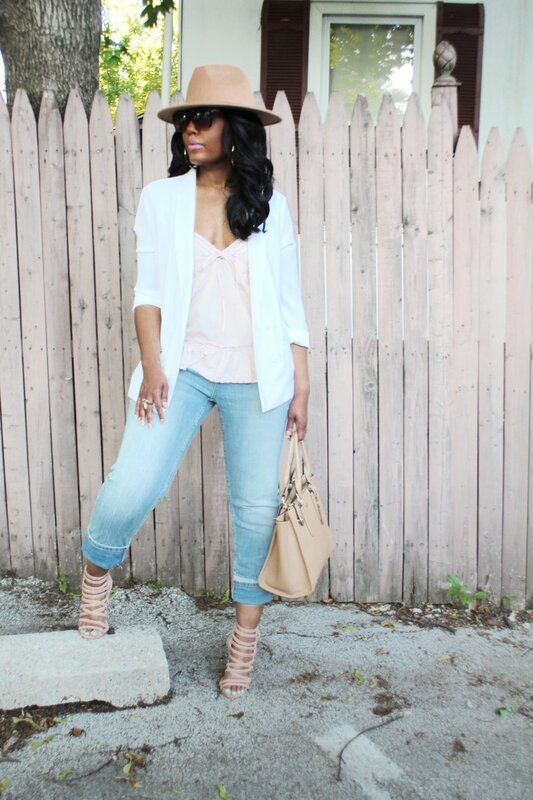 My goal was to do a casual chic look so light colored jeans were my go to for pairing the look, I prefer lighter jeans for the summer. 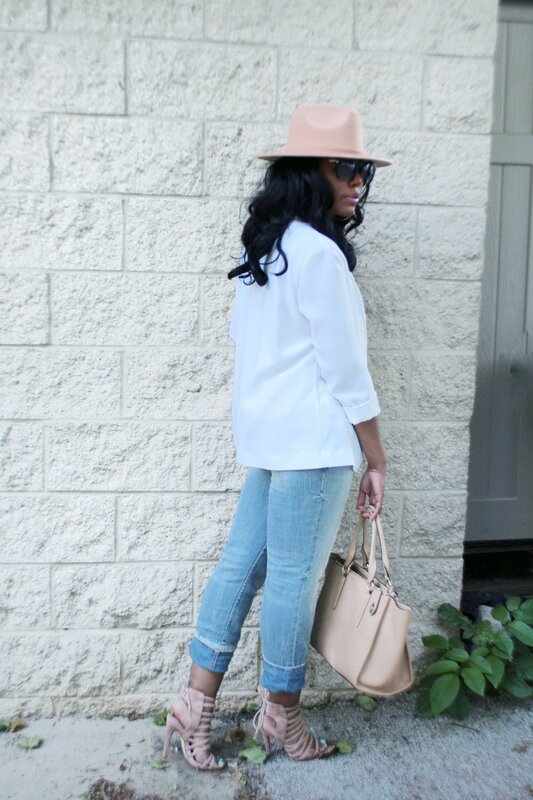 I stayed in the neutral color family with my heeled sandals and my fedora hat. This is a look that can be for both day and night, if I have a lot of running around to do I wear flat sandals or slides and then change into my heels for a meeting or going out later in the evening. Some great options to wear under your blazer are graphic tees, bodysuits, buttondown shirt or a tank top, the possibilities are endless. Whether dressed up wearing a dress or dressed down with jeans like me, a white blazer will have you looking chic and well put together for any occasion or just a chill day! Share how you like to wear your blazer?